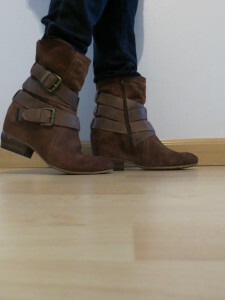 You may have seen these before and wondered what the fuss is about and if they actually work. 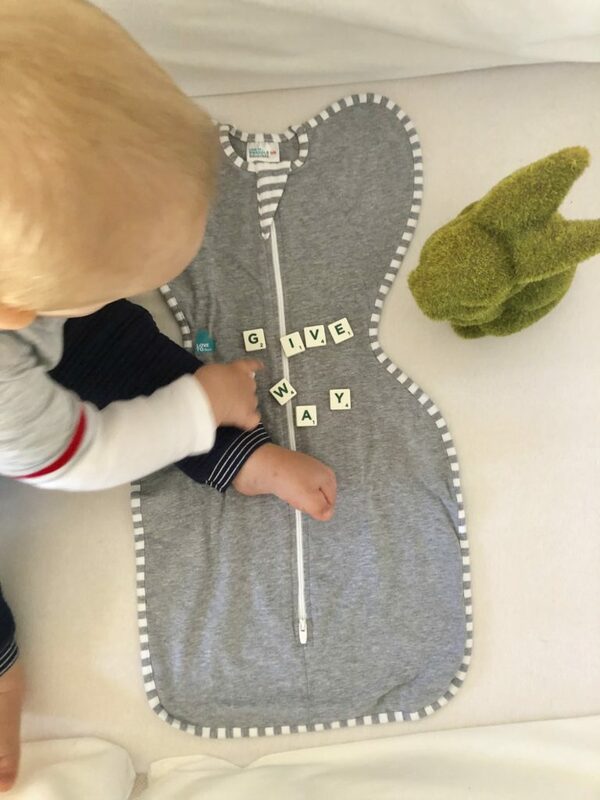 I got one for Baby Number 1 and had no idea if it was something that would make life easier or just another baby gimmick. But boy, I am glad that I had not only one, but two of them for my wriggly little worm because they were quite a life saver for us. Coming home with a newborn is quite terrifying and I remember worrying so much that something is going to happen to him in his sleep, like a loose blanket suffocating him, or worrying that I haven’t wrapped him up properly and he won’t sleep properly because he’s uncomfortable… the list goes on. Swaddling is a must for newborns and really just helps to prevent the startle reflex, regulate their body temperature, helps them to sleep and makes babies feel secure after being snug in the womb for 9 months. I can’t actually tell you how many times I googled the best way to swaddle a newborn because every single time I had thought I had done it wrong (sleep deprivation is a real thing, guys!). What’s quite unique about the Love To Dream swaddles is that babies can still self-soothe by sucking on their hands, which traditional swaddling doesn’t cater for. Nonetheless, we are prepared this time with the Stage 1 and 2 and Love To Dream has kindly sponsored an original Swaddle UP to give away! Entry mechanism is below and entries close 8 April, so get to it! *The Love To Dream range is currently available at selected Kid’s Emporium stores, Bub Hub and online at Takealot. Look, I’m no beauty blogger, but I’m very much into healthy living and looking after myself. I can’t tell you what the latest eyeliner trend is and a lot of the time I can’t tell you where my make-up bag is, but I can tell you how to get active and look after your own wellbeing. 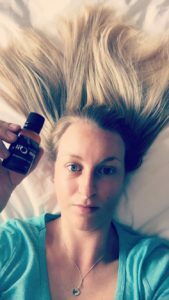 Today, I’m going to tell you about my experience with Argan Oil. I gym/exercise in the mornings, which consists of high intensity training three times a week, a 5km run twice a week and hot yoga once a week. In the afternoons I ride my horse 4-5 times a week. This means that if I’m not sweating, I’ve probably just got out of the shower. I shower at least twice a day and wash my hair once a day. Can you see where this is going? My hair needs some tender loving care! And it needs it in a way that fits into my busy schedule (between all that activity, I’m also running a social media business and am putting in the desk time). 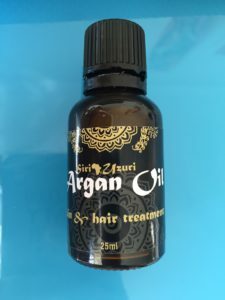 Enter Argan oil. This is one from Siri Uzuri that I was given to try out. It’s 100% pure, freshly pressed & certified organic Argan oil and available from Hello Pretty for R150. Make sure that you’ve liked my Facebook page and comment on the competition post there, telling me why your hair deserves to be silky smooth. Competition closes on Monday 12 September at 5pm. Only subscribers to www.popcorncandi.com are eligible to win this prize. Winner will be chosen by random draw. Only South African residents may enter. Prize will be couriered to the prize winner within 2 weeks of winner announcement. Winner will be announce on the PopcornCandi Facebook page and will be sent an email to the email address on record in the PopcornCandi subscriber list. If the incorrect email address is provided, a new winner will be chosen and the original winner will forfeit their prize. If the winner does not respond to the winning email within a week, the prize will be transferred to the next randomly drawn winner. Win a spot at the Capsicum Culinary Studio Cook-Off! 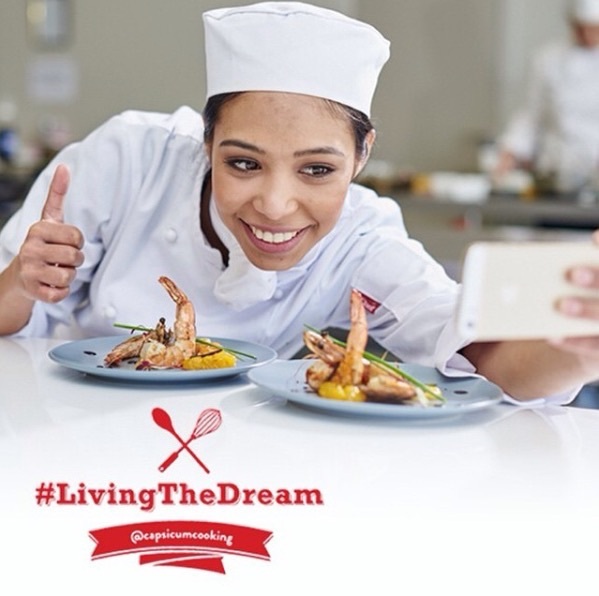 Capsicum Culinary Studio is the largest chef school in South Africa, with 6 campuses across the country and 4000 students having graduated and work all over the world. 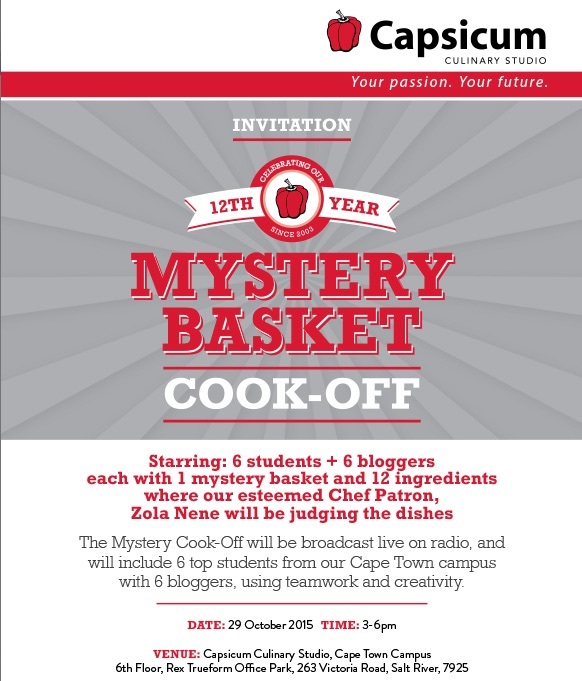 They’re celebrating their 12th birthday this year and are hosting a celebratory cook-off on 29 October in Cape Town. You could win a spot at this event and get to put your culinary skills to the test, exclusive to PopcornCandi.com readers! To enter, use the giveaway widget below. The winner will be chosen at random on Friday 23 October. 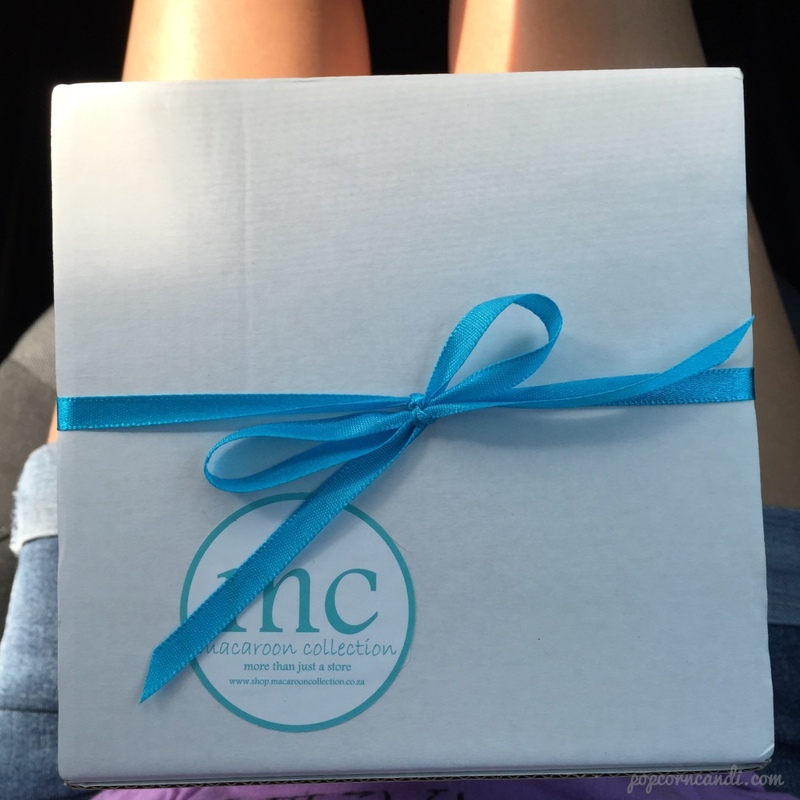 A surprise gift from you to you! Well this is a fun concept! I was chatting to a friend the other day who loves online shopping because it feels like a surprise gift… except she knows what it is so it’s all a big FARCE. This was my February box and I absolutely adore all of the goodies! It’s good to spoil yourself sometimes. 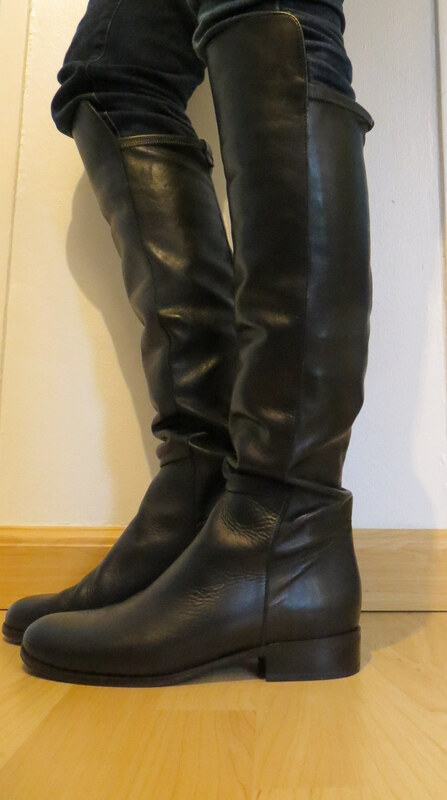 It’s not often that I splurge on shoe shopping (farm girl at heart would rather not wear any), but when I do, I get so excited to find exactly what I’m looking for and the quality that I love. 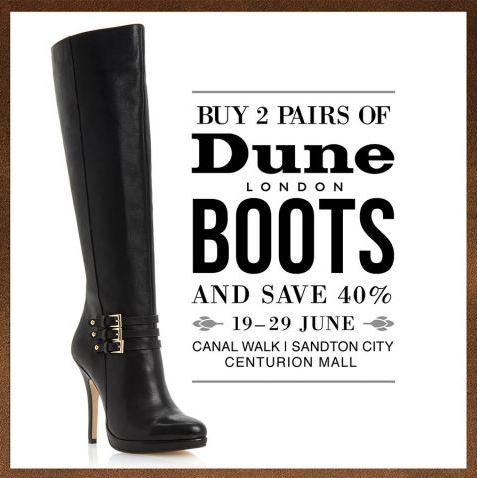 Awesome, go get ’em at Dune London SA. I chose these beauties. Aaaah… mad love. This one’s for the Joburg folk. I may not be living there anymore, but I’m still there quite often for work (let’s face it, somebody’s got to work on our GDP. Kidding. Capetonians, don’t kill me, I’m one of you now) and often in need of a cab. 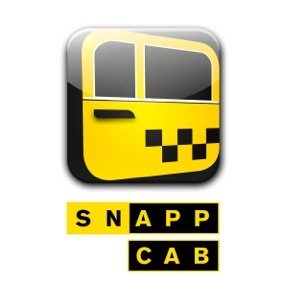 SnappCab is a free smartphone app for iOS, Android and Blackberry 10 devices to cab around the city. Rides are charged at R12,50 per km. They’re also quite nice people and want to give you R135 free credit for your next trip! Just comment on this post and follow them on Twitter/Like their Facebook page (tell me in the comment if you’ve liked on Facebook, followed on Twitter, or both). Credit will be allocated at random and is valid until 31 July 2014. 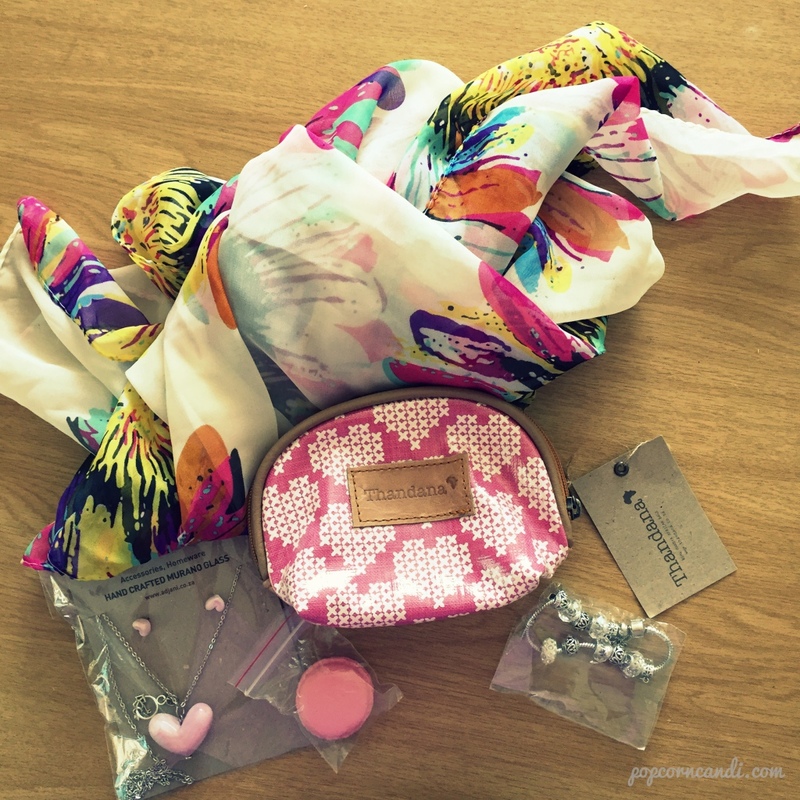 Giveaway closes on Friday 27 June 2014 at 12pm (so that you can be surprised with credit just in time for the weekend!). To make it easier, you can use the nifty tool below to enter. So you know what’s an adventure? Cape Town weather. Having recently moved to The Mother City, I was warned about the wet and windy winters. Since experiencing it a little lately, I have been known to refer to it as “Mordor”. 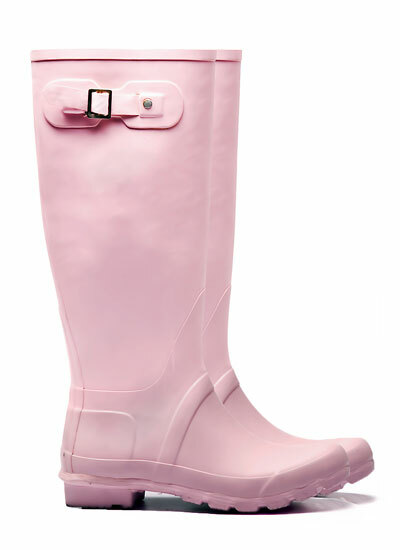 But it’s nothing a good jacket and good pair of wellies can’t fix. 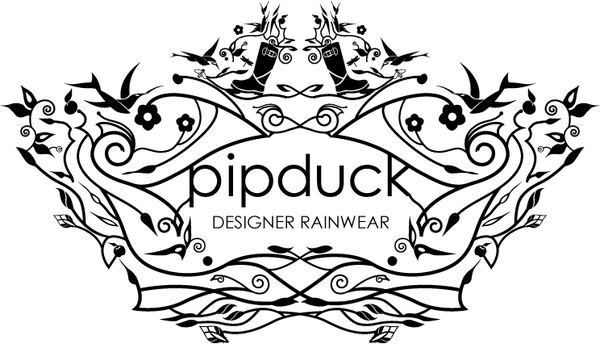 Pipduck is an Australian range of hand printed, award winning, waterproof, cotton lined designer wellies now available in South Africa (through Macaroon Collection), Namibia and Zimbabwe. I’m giving away a pair of pink rider boots and a pair of turquoise rider boots from Macaroon Collection – one to each lucky winner! 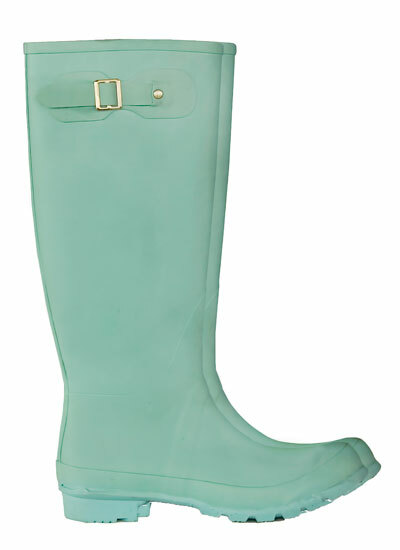 Simply comment on this blog post, telling me which colour you’d like – the turquoise or the pink. Competition closes on Tuesday 10 June 2014 at 5pm and winners will be announced on Wednesday 11 June 2014. Clear as mud? I’ve already ordered my own turquoise pair, so if you just want to buy them straight out, they’re R300 on special on Macaroon Collection at the moment (unlabeled). 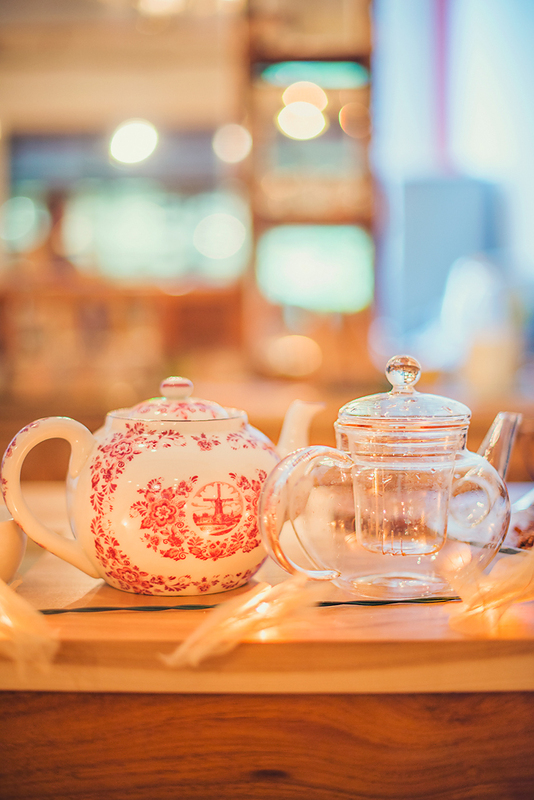 I’m a self-confessed Lady Bonin’s Tea Parlour fan (I’ve written about the beautiful teas before here). Once you’ve tasted them, you’ll never drink another kind of tea again. I swear that she puts actual love into her tea, and the BEST news is that a Lady Bonin online store has just shot up, so anyone can order the teas online for delivery. May assist with digestive problems, nervous tension, allergies, immune system, lowering blood pressure & cholesterol, regulating blood sugar. High in antioxidants, amino acids, fiber, calcium & manganese. Spicy, chili after taste, sweet, fragrant & luxurious. Can be complimented by milk, sugar or honey. 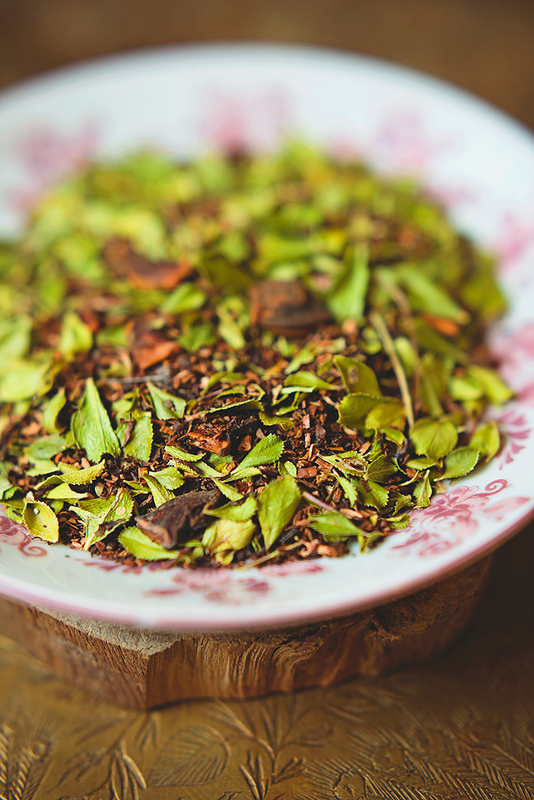 Both Honeybush and Buchu are part of the Fynbos family and found exclusively in South Africa. The Khoisan tribes used these plants for their medicinal benefits. 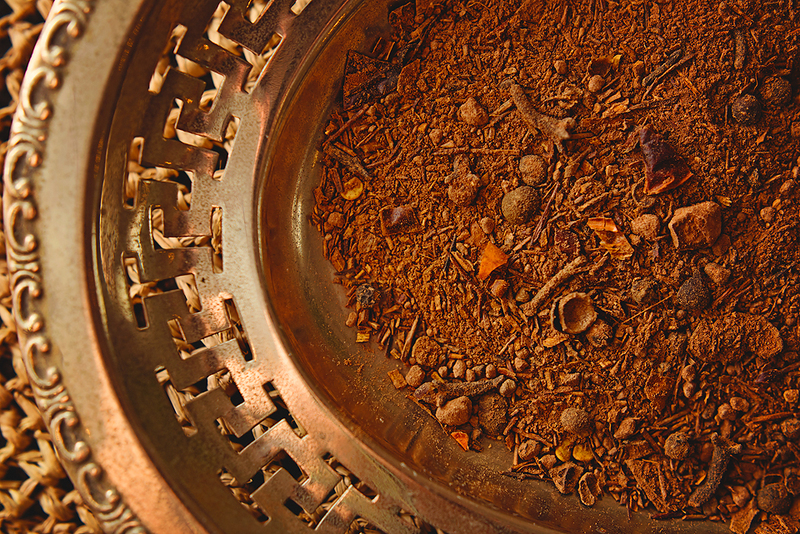 Star Anise is native to the Mediterranean and used in traditional medicine. All three herbs can treat colds, flu and stomach disorders. Star Anise treats indigestions, bloating and nausea. Buchu has been used to treat gout, cholera and bilharzia. It contains Diosphenol, making it an antiseptic and diuretic, flushing the kidneys. Honeybush is high in antioxidants and contains vitamin C, calcium, copper, iron, magnesium, zinc and potassium. It assists in liver rejuvenation. It has a spicy odor and licorice like taste. The Honeybush provides sweet overtones. Best enjoyed alone or with a dash of honey. This decadent blend is a Lady Bonin original. 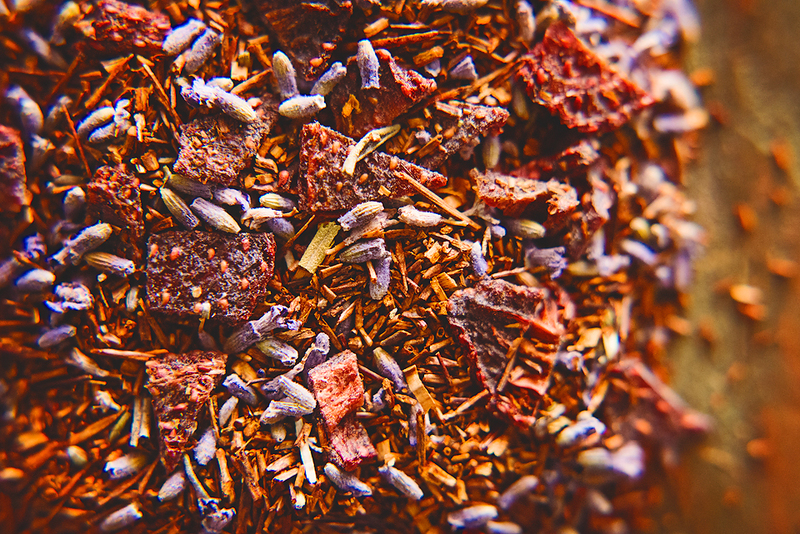 Wild picked organic Rooibos is blended in a medley of lavender flowers & strawberries. It inspires dreams & soothes the entire being, evoking timeless bliss. This tea is excellent iced or hot. Sweet, woody, smooth, floral, fragrant & luxurious. Best enjoyed alone but can be complimented by honey. 3. 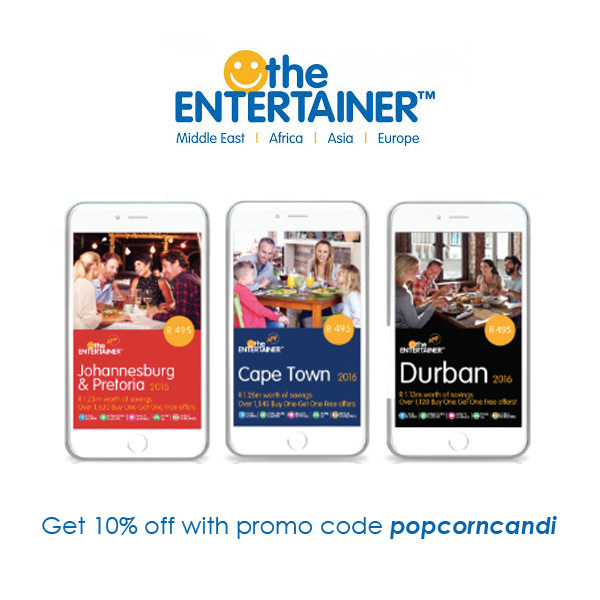 Get a bonus entry if you’re a PopcornCandi blog subscriber! I’ll announce the winner on 5 June 2014. P.S. If you like these pics and are keen to see some behind the scenes footage, you might want to also follow Lady Bonin on Instagram as @Lady_Bonin. Uber chauffeur service now in Jozi! Listen up, folks – you want to hear about this. I tried out Uber chauffeur service on the weekend and was thoroughly impressed. Pinpoint your pickup location (and if you want a quote and estimated trip time, your final destination too), and order your chauffeur. You will be sent a confirmation SMS and be provided with the details and photo of your driver, details of the car and registration as well as estimated time of arrival. You can contact the driver via phone/SMS at any time if you need to. Don’t worry about waiting outside: the app shows you exactly where your driver is and you’ll get a text message when your car is arriving. You will be picked up in a BMW 3/5 Series, Mercedes E /S Class or Audi A6s. No messing around with average cars! 6. All payments are seamlessly processed with your account’s credit card, there’s no need to tip, and a receipt is immediately emailed after your ride. Go on – give it a try, you will not be disappointed. Feel free to share this with your friends as well so that they can experience it too. For more info: Find their website here or find them on Twitter here.